A 20 minute train ride from Kyoto, Lake Biwa Hanakaido is situated on the western bank of Lake Biwa on the same hill as Ogoto hot spring. The atmosphere of the place is one of romance from the Taisho era. 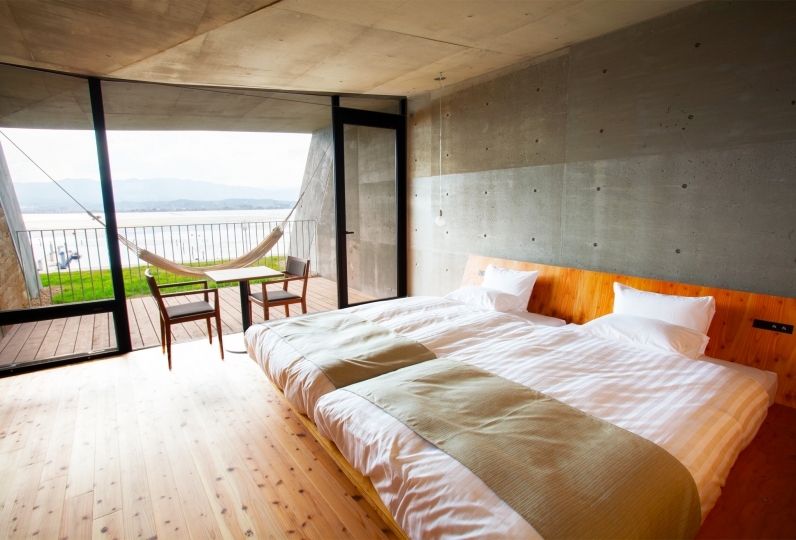 The morning sun causes the surface of Lake Biwa to sparkle and offers a spectacular view from the rooms. There is artwork made from seasonal plants to greet guests, along with staff whose hospitality and warmth are welcoming to all. The central garden and entrance are filled with nature, allowing guests to feel the change of season and calm their minds and hearts. 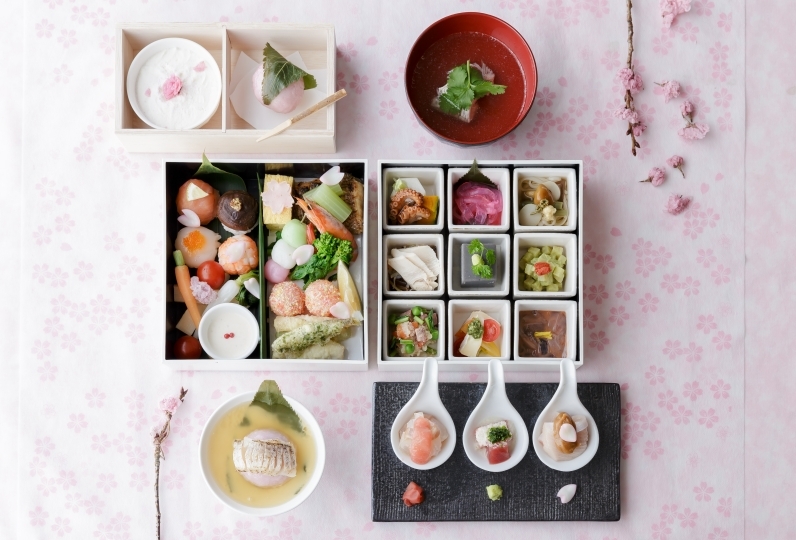 Being quite particular about using locally grown ingredients, the kaiseki banquet our chef prepares with fresh ingredients from our local town, Omi, has many dishes that bring out the richness and flavours of our local area; Shiga and Lake Biwa. It is said that the Ogoto hot spring was opened 1200 years ago during the Heian period, by Kaiso Saicho (Dengyo Daishi) of Enryaku temple on Mt. Hiei. Nearby there are world heritage sites such as Enryaku temple on Mt. Hiei. On par with Enryaku temple are historical sites connected to Tiantai head temple such as Mitsui temple and Saikyo temple. 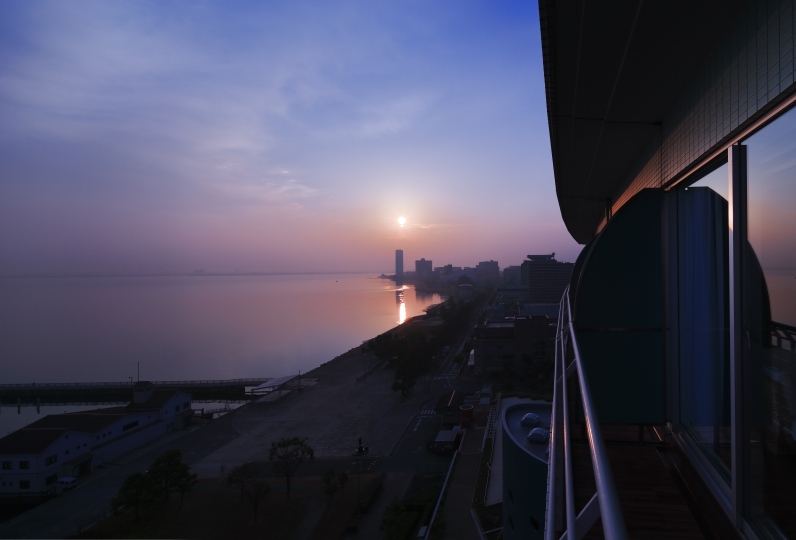 As a hot spring inn with a harbor, we are fortunate in our location. 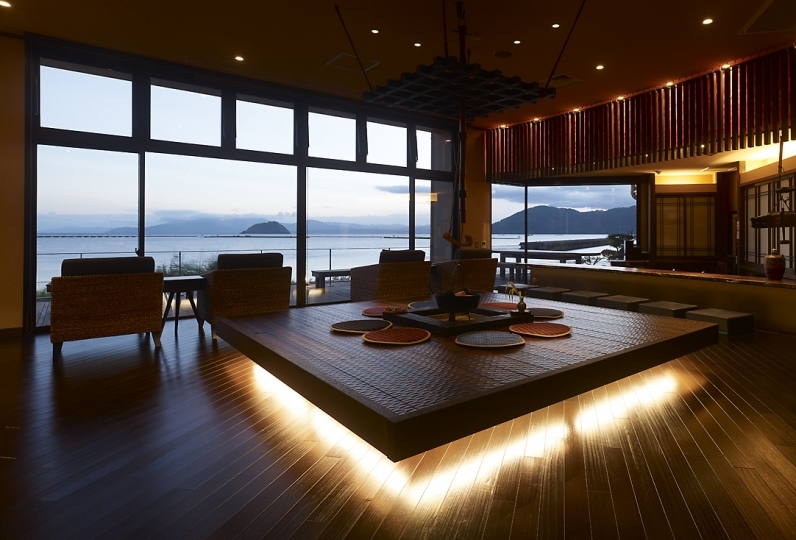 Lake Biwa Hanakaidou is a hotel which forms bonds. We connect people to people, people to nature, people to history, people to the area. We would like to continue being a platform to create these bonds. Thank you for borrowing the humidifier and then coming to the room twice with the charger, and despite being busy at breakfast with your daughter's fever, thank you for bringing me cold pita. The staff of the foreigners have also been working hard. I'm sorry that I sometimes laugh at laughing at Japanese. But it was fun and I will go back. I was going to pay an extra charge because the checkout was delayed a little, but the charge was not added, but I was told that the complexion was very angry. Nakai-san, who was in charge of the room, was a good girl who felt very good and it was fun to talk. The floor of the room, especially the sofa table was walking with lots of spots, and it was disgustingly dirty to see it, but I hated it with a bath towel so I feel bad. Please improve. I was feeling bad because of that, but the meal is delicious! Dinner Both breakfast was delicious anyhow. Because it was a basic kaiseki, I did not expect too much, but everything was tasty and it was really delicious. I saw the chef's career but I was satisfied. Also, the couple who are also very deliciously managed by the soba shop inside the hall was very nice. I think that the meal is really a wonderful inn. The hotel has 2 large public baths and 3 open-air baths. Enjoy the historic waters of Kokoku to your heart's content. 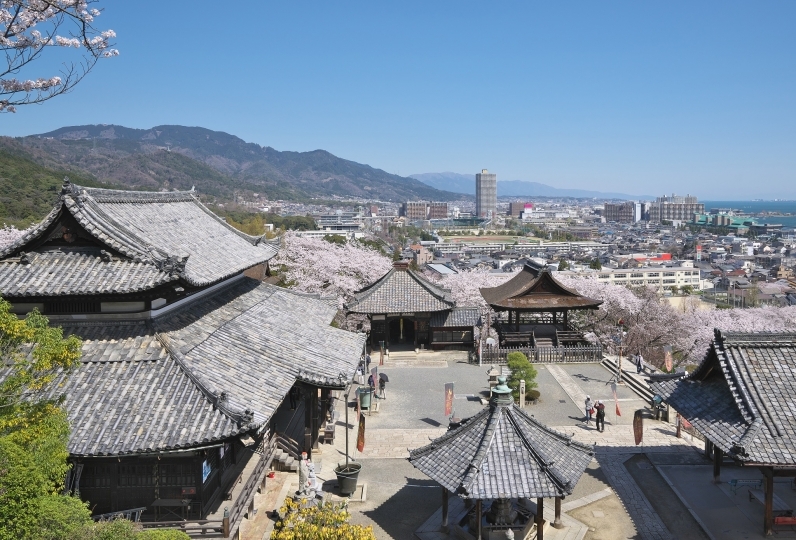 Approximately 1,200 years ago during the Heian Period, Saicho (the Dengyo Daishi), the founder of Mt. Hiei's Enryaku Temple, is said to have also founded Ogoto Hot Springs. The water is alkaline and is effective against nerve pain and fatigue as well as chills and has a beautification effect that is especially gentle to women. We invite you to spend a time of ease in these historic waters along with the sweet scent of the trees. Can be used by up to 3 to 4 people at once. 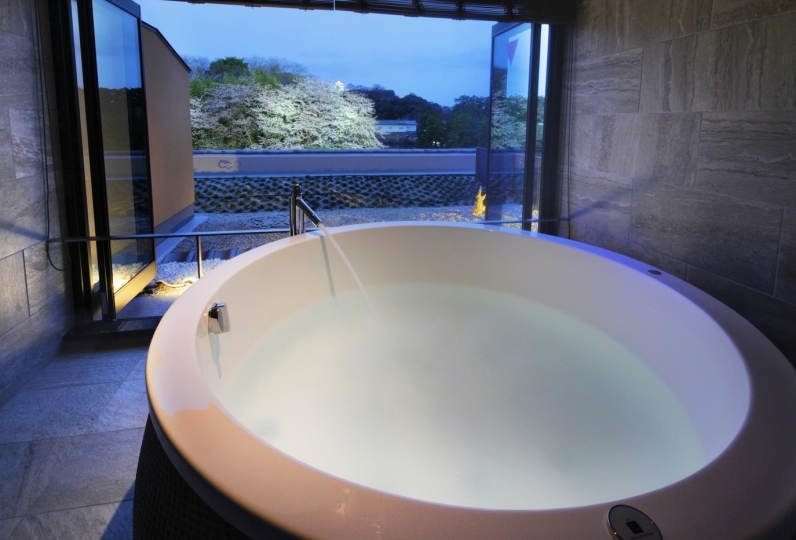 There is also a room with its own open-air bath, so please feel free to make use of that as well. 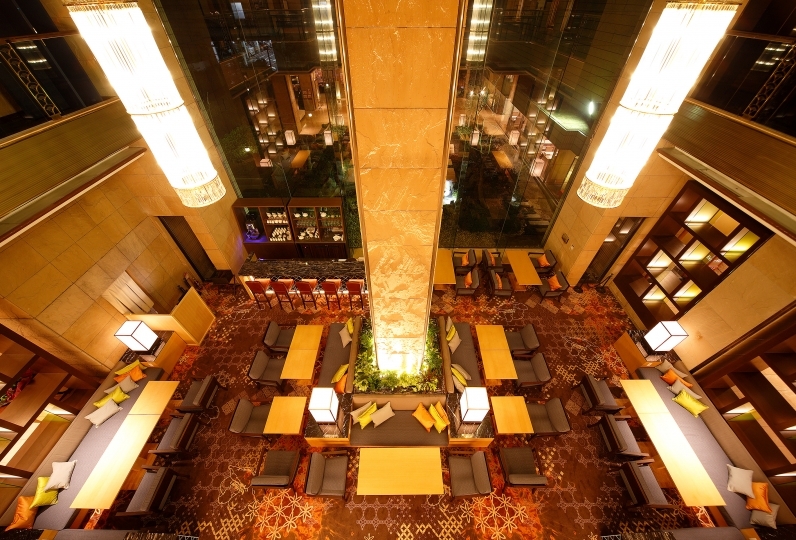 *We do not accept reservations in advance, so please make your request at the front desk at check-in. On Lake Aroma Lira, a qualified counselor prepares aroma according to the state of health and mental condition of each customer and performs only one aromatherapy treatment in the world. *If you wish, we will give you detailed information, so please contact us. The hotel will renovate from January 2019. For areas outside the construction scope, you can stay as usual during the period. I need something to prepare for my trip with my baby. 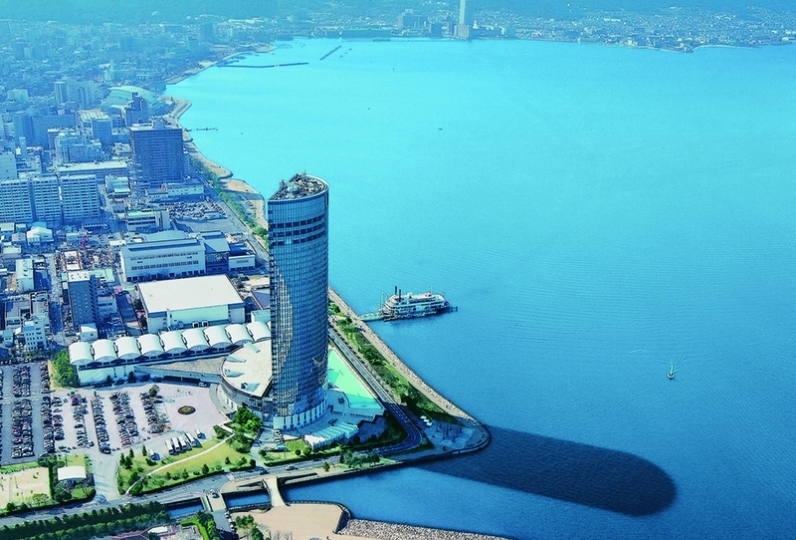 We are preparing items that can be borrowed for free on Biwako Flower Road. *Because there are limited numbers, please let us know at the time of reservation if there is hope. • Bathing tax (¥150) is not included. We ask you to be certain to contact us in advance. Both of <Smoking room> <Non smoking room> can be prepared for the above four types of room types. If you prefer a non-smoking room, please fill in the request column of the reservation form. If not requested you may be placed in a smoking room. 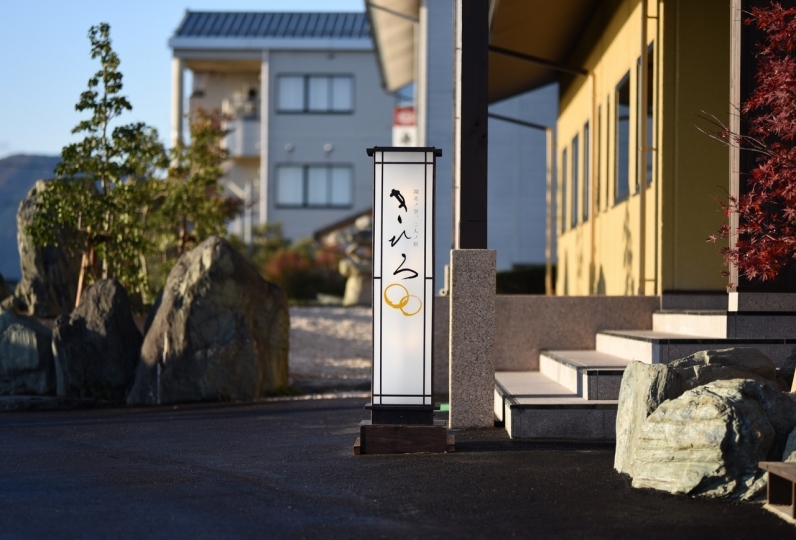 We offer a shuttle bus to pick you up from JR Ogoto Onsen Station (approx. 5min) or JR Hieizan Sakamoto Station (approx. 15min). Please contact us from either station, and we will go to receive you. Furthermore, if you inform us beforehand of your train details, we will be available to receive you in a more timely manner. Hotel has parking space for 47 cars available.